I'm going to go see the Porgs again today! I recently learned that when they were filming, the actual island was covered in Puffins and they couldn't get them out of the shots... so they decided to turn them into porgs! Maybe I once knew that before but then just relearned it. Hoo hoo! 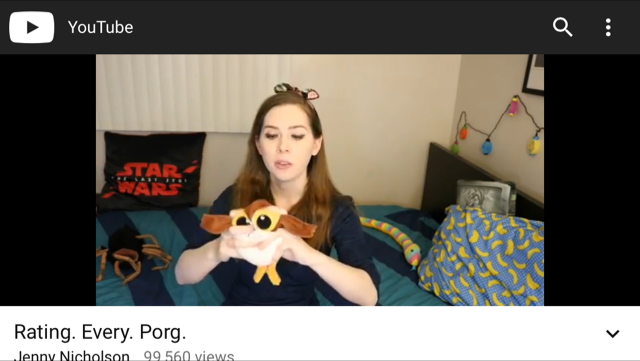 Anysneech, I will give hugs to the porgs from you! Did you guys know that there was a new Schlop Wars movie out? Apparently Lee knew because she was there opening night to see Schlop Solo! Word on the bed is that Lee liked it and someone in the crowd wore a tauntaun hat. Sorry I dropped the ball by not posting about this movie before it opened! Im not sure about these Thursday opening night shows. They must only happen in certain theaters and people don't realize it. The crowd was mini last night, maybe too soon? But people cheered when "LucasArts" came on the screen. And for Chewie. And for the first glimpse of the Milennium Falcon. We went in with ultra low expectations and found it watchable but campy. Better than Rogue One to be sure. * A very odd female robot character. Kind of offensive maybe? I wonder if women will be mad. * One of the main WestWorld women was in it! Cool. * The pacing/plot certainly had issues. 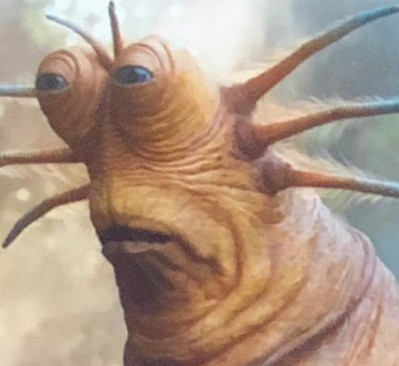 * I thought the Kessel Run would be a side part of the movie but instead it is the entire plot and climax of the film. * The humor is very silly but I had some snarfs. * There were so many double-crosses upon double-crosses at the end that I just got lost and stopped caring, hoo hoo. * John Powell did the soundtrack (the How to Train Your Dragon guy!) but I thought the soundtrack for this was awful! Nothing fit! In one battle scene there were weird children singing... it was all very confusing. * So many famous people cameos omg! All in all, a decent night if you have low expectations. Posted: Tue Jun 26, 2018 8:59 am Post subject: Squishable! HOO HOO look at these screen grabs that Nibs got! Did you guys know there are only 316 days until Episode 9 of Schlop Wars comes out? Crazy, huh? Shnoodles I already told you what I thought the title would be in this thread in 2017 - Schlop Wars the Quest for DJ. I still stand by that post. Wow what an exciting day yesterday! Lee and I got to watch the Episode 9 trailer together and we were blown away. Rey is backflipping over space ships, Kylo is fixing his helmet, and there might even be some sort of death star again! Also BB-8 has a little friend named Dio who Duddles likes very much. 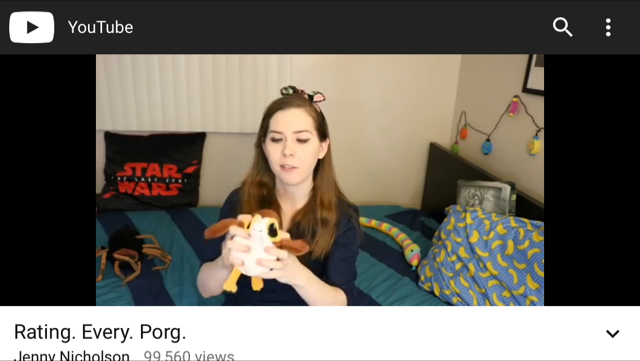 I guess I was wrong about the title but I still believe the Porgs will play a pivotal role. Posted: Sat Apr 13, 2019 2:18 pm Post subject: So hyped! Wow, the final movie, what a time to be a bear! Muffins, not sure if that isn't a dinosaur? Wrong thread? Anysneech, Lee and I have been doing some reading and watching about fan theories about the Rise of Skywalker title. 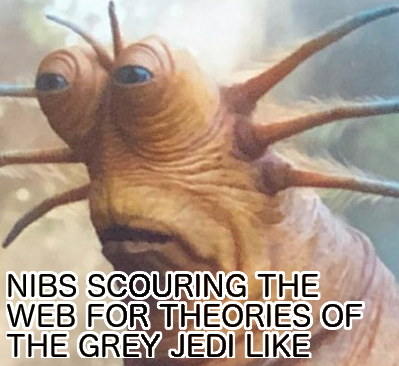 The coolest one is about the concept of Grey Jedi, which Duddles can certainly relate to, hoo hoo. Did you guys hear about that too? Oh wait, I don't want to say more if it might spoil something. Let me know if I should continue or stay mum. Well I watched the trailer twice and I didn't see any sign of DJ who was the star of the last movie. I think people will be pretty upset if DJ doesn't have a major role. Just to remind you DJ is capable of breaking out of any prison and also sneaking into any ship. You never know where DJ will show up next. To put it mildly: Trailer. Needs. More. DJ.